RE/MAX Canada was gifting prospects and customers to direct competitors. With next to no organic search traffic, the lack of search engine optimization made it effectively impossible to find the company online. Furthermore, their website lacked sales and marketing alignment and has been built to not support contemporary search engine algorithms. If you didn’t already know about RE/MAX Canada, there was no way to organically discover the brand and become a new customer. 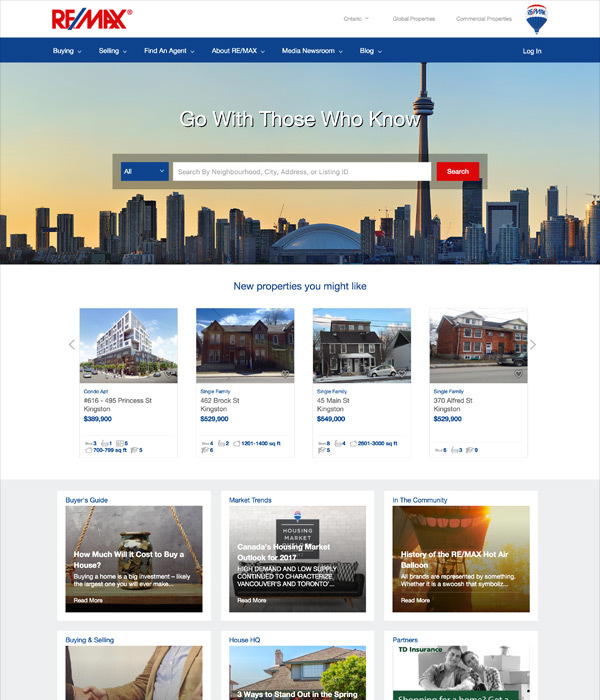 With RE/MAX’s lack of an online presence reaching a critical point, they came to our team with a mission; they wanted us to bring their digital marketing efforts back from the brink and cement the company as Canada’s leading real estate agency. 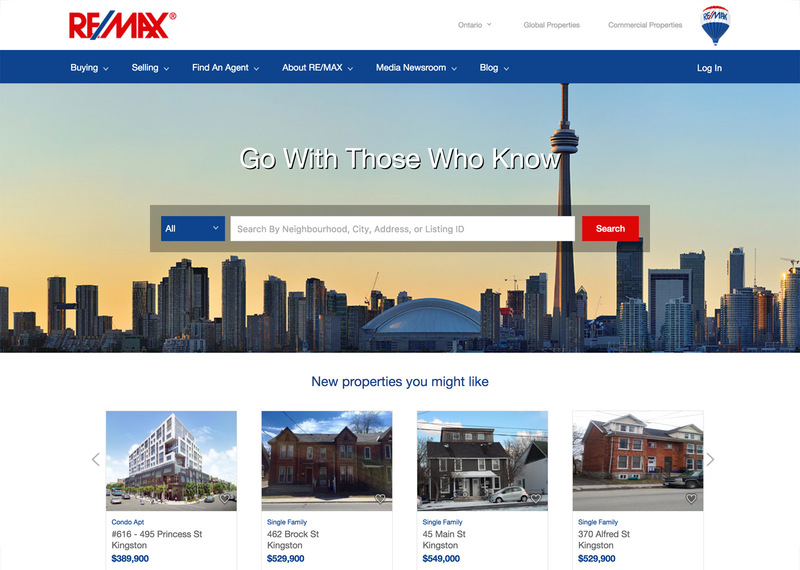 With RE/MAX’s lack of an online presence reaching a critical point, they came to our team with a mission; they wanted us to bring their digital marketing efforts back from the brink and cement the company as Canada’s leading real estate agency. 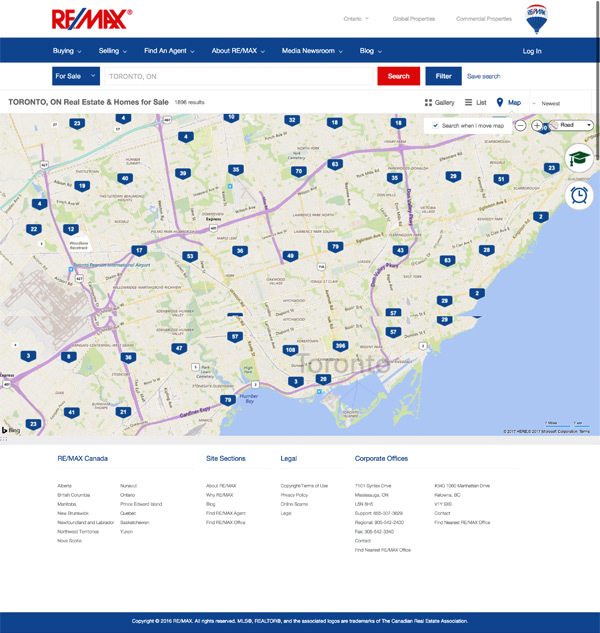 With the state of RE/MAX Canada’s digital efforts, an in-depth audit was required to identify all pain points that we can then turn into opportunities for significant growth. 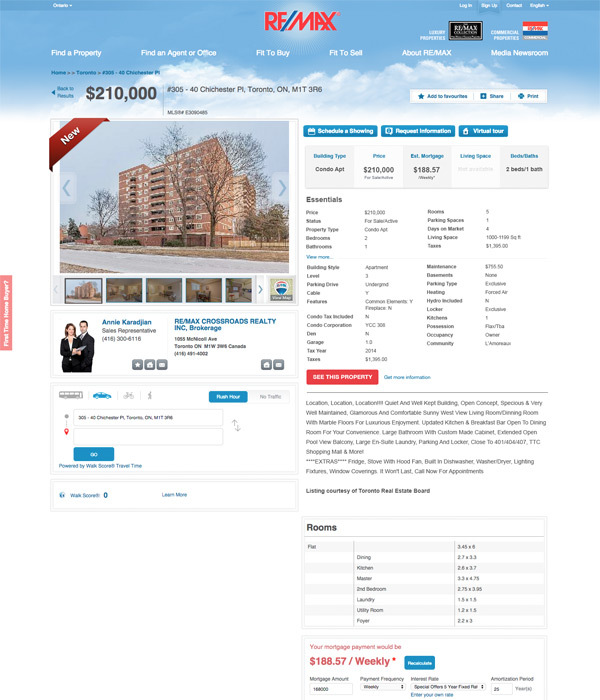 This audit not only involved the assessment of RE/MAX Canada’s on-site and off-site digital performance - it also involved taking a closer look at what strategies the direct competitors were implementing online. Following the audit of REMAX’s digital marketing strategy, we understood what a monumental challenge this was going to be, and we relished every second of it. We began crafting their digital comeback with an SEO friendly website redevelopment. During this process, we increased the site’s Information Architecture in order to increase discoverability and the value of deep linked pages. It was of utmost importance to us to ensure that Google’s search engine algorithms could read RE/MAX’s site, and organically display it to millions of prospects. In order to turn this goal into a reality, we carefully created and optimized localized landing pages and implemented HTML snapshots which enabled Google and other search engines to crawl and index pages. This increased indexed pages from hundreds to millions, resulting in a 1, 000% increase in traffic. Now we’re getting somewhere. With massive amounts of organic traffic reaching RE/ MAX’s site, we were able to run intelligent A/B tests to further optimize lead generation and conversion. We understood exactly how RE/MAX prospects behaved online, what their problems were, and how to best serve them. Our team put the usual 110% into this partnership, and RE/MAX Canada was very pleased with the outcome. As a result, we continue to partner with them to this day.